Join Roz from Be Kind Textiles for a relaxing and informative afternoon of creating natural colours on paper and cloth from local plants, kitchen scraps and traditional dyes. You will gain understanding of how to unlock colours, how to protect and set colours onto cloth and what to look for when collecting dye materials locally. Minimal chemicals are used in the class and you will learn how to extract multiple colours from one plant! You will get to take away fabric and yarn samples from all of the dye pots we create for future reference or to use for other projects, a bundle of lovely naturally printed watercolour paper you have made and an information booklet after the class outlining the techniques we used. This class is great for beginners or those who are wanting to further their dyeing practice. You’ll get to take home fabric and yarn samples and naturally printed watercolour paper that you make on the day, as well as an information booklet so you can continue dyeing at home! 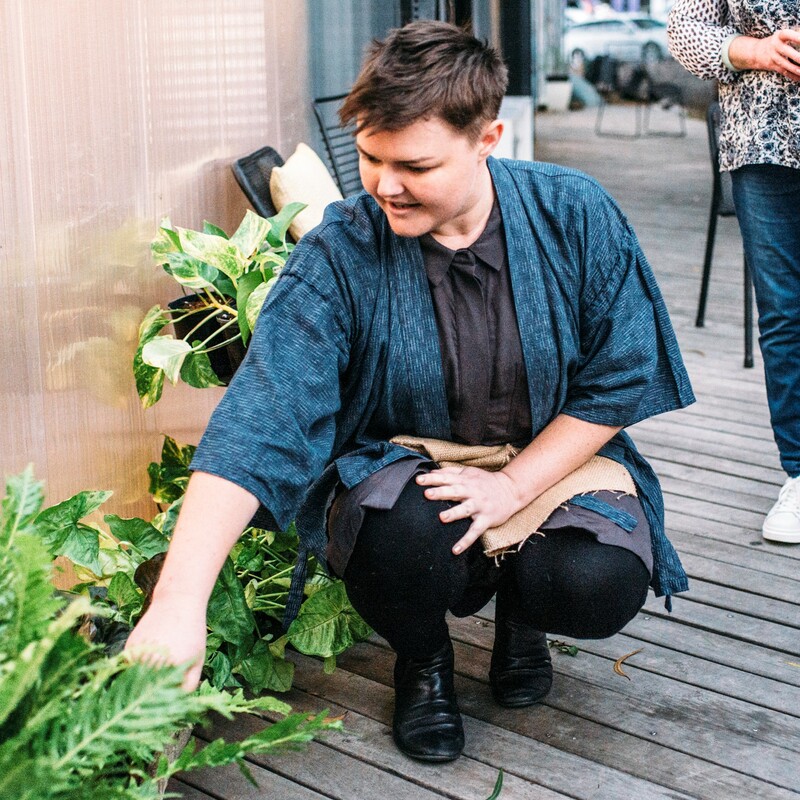 Roz Slade is a Melbourne textile designer and maker interested in supporting society’s deep social connection to textiles, and nurturing an interest in the therapeutic act of hand-making. After graduating Textile Design and Development at RMIT, where she majored in weave and printmaking, she stepped away from the ethical drift of fast fashion and textile waste, to create a modest range of high-quality products featuring sustainable methods and ethically sourced materials under the brand Be Kind Textiles. Spending the following years exploring every craft within her reach in her own personal practice, she is sharing her results and lifelong love of art and textiles with willing students.